There are many reasons why students can struggle during the academic year, struggling with material that you aren't familiar with, life outside of college is impacting negatively on your studies, or maybe you didn't do as well as you had hoped in your mid/end of semester exams. This issue happen to many students, but they are something that need to be tackled head on, before it is left too late. If in doubt, just ask! 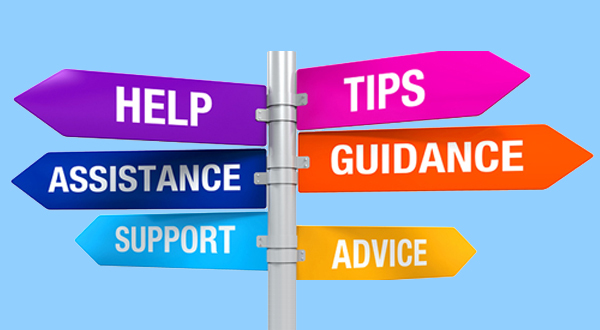 There are a number of different supports open to you, have you applied for a grant? If so have you been in contact with SUSI regarding the status of your application and when you are likely to receive to assistance. Have you applied for the Student Assistance Fund (this is a small fund operated by Student Life and Learning to help students who find themselves is severe financial difficulty but does not cover any college fees), please e-mail [email protected] with any queries you may have. Thinking about leaving your course? In order to officially de-register from the Institute there is a De-registration form which you need to complete which is available from Reception or on-line. This officially notifies the Institute that you have left your programme. Following on from this you will receive a letter notifying you that you are de-registered. There may be fee implications associated with de-registering. I have to repeat exams, what do I do? In the first instance you should register for your repeat exam, to sit it at the next available sitting. You can check this via www.wit.ie/current_students/student_affairs/exam_entry. You should also contact your lecturer for the module to get some feedback and guidance on where you may have gone wrong in your first attempt, and what you can do differently for your next sitting. Make a study plan and create short-term goals to help keep you motivated throughout the semester. It is important to learn from challenges you may have had with past modules, if you come up against these with new modules, seek help sooner rather than later.